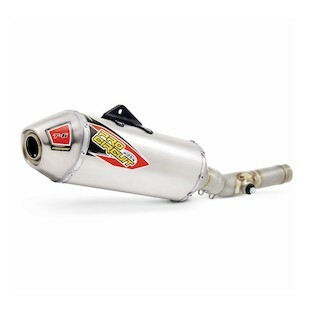 The Pro Circuit Ti-6 Pro Titanium Exhaust System was designed for professional racers competing in AMA Supercross or AMA Motocross to ensure they gain as much power as possible while meeting the specific AMA/FIM sound requirements. 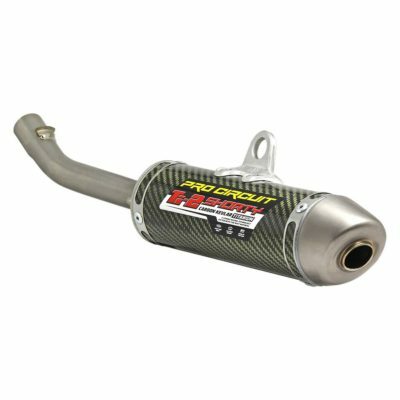 The Ti-6 Pro Titanium Exhaust is pounds lighter than most stock systems and is constructed of titanium throughout the head pipe, mid pipe, and canister while the end-cap is carbon fiber. Most Ti-6 Pro Titanium systems come complete with the Pro Circuit RC-4 titanium head pipe with Resonance Chamber technology. The Resonance Chamber was developed to help lower sound levels yet still allow for proper exhaust flow. 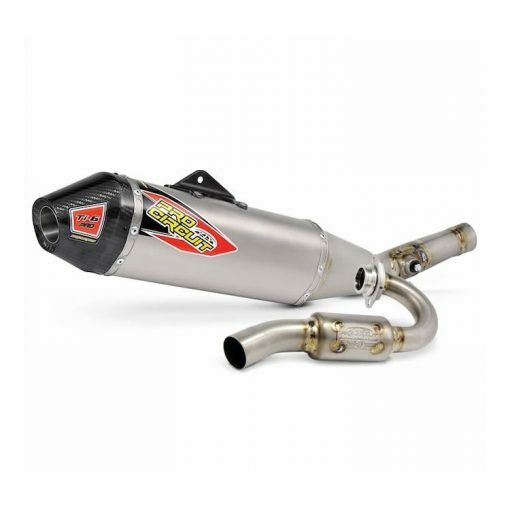 The asymmetrical configuration of the titanium muffler offers maximum packing volume to ensure sustained performance and lower sound output. 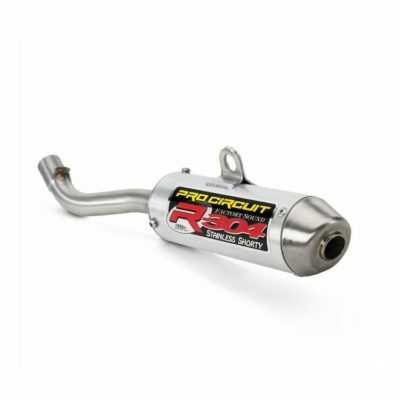 Created as a full race system, the Pro Circuit Ti-6 Pro pipe is intended for closed-course racing only, and is the perfect choice for anyone searching for a top level exhaust.